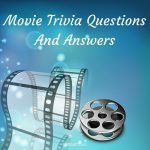 If you think you're a film buff, then test out your knowledge with these free movie trivia questions and answers. Why not get together with your friends and family to see who comes out on top? Who will be leading man or lady of movie trivia? Q. Which war movie won the Academy Award for Best Picture in 2009? Q. What was the name of the second Indiana Jones movie, released in 1984? A. Indiana Jones and the Temple of Doom. Q. Which actor starred in the 1961 movie The Hustler? Q. In which year were the Academy Awards, or "Oscars", first presented? "After all, tomorrow is another day!" is the last line from which movie that won the Academy Award for Best Picture in 1939? Q. Which movie features Bruce Willis as John McClane, a New York police officer, taking on a gang of criminals in a Los Angeles skyscraper on Christmas Eve? Q. What is the name of the hobbit played by Elijah Wood in the Lord of the Rings movies? Q. Which actress plays Katniss Everdeen in the Hunger Games movies? Q. Judy Garland starred as Dorothy Gale in which classic movie? A. The Wizard of Oz. Q. What is the name of the kingdom where the 2013 animated movie Frozen is set? Q. Which 1997 science fiction movie starring Will Smith and Tommy Lee Jones tells the story of a secret agency that polices alien refugees who are living on earth disguised as humans? Q. Which English actor won the 2014 Academy Award for best actor for his role in The Theory of Everything? Q. In which 1984 science fiction movie did Linda Hamilton play the role of Sarah Connor? Q. Which classic thriller movie stars Roy Schieder as the police chief Martin Brody? Q. Which 1952 musical comedy tells the story of three performers making the transition from silent movies to "talkies"? A. Singin' in the Rain. Q. Which English director was responsible for the epic movie Gladiator in 2000? Q. In which movie did Julia Roberts play a kind-hearted prostitute called Vivian Ward? Q. Who played Jack Dawson in the 1997 epic Titanic? Q. Which Tom Hanks movie won the Academy Award for Best Picture in 1994? Q. Who directed the epic historical drama Schindler's List in 1993? Q. Who was the first African American actor to win the Academy Award for Best Actor? A. Sidney Poitier for his role in Lillies of the Field in 1963.